It takes the skills of Houdini to cast off its chains, the voice of Chaliapin to impress its grim audience, the talent of Tolstoy to describe its inhabitants and the nerve of Mickey Rourke to try on its torture devices. 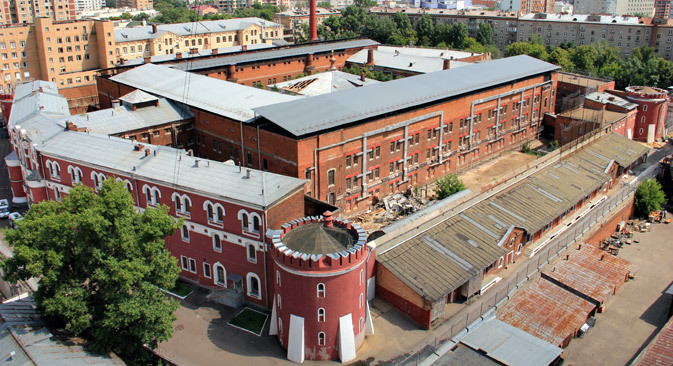 Butyrka is Moscow’s oldest functioning prison. More than 40 percent of the convicts were sentenced to less than a year for minor offenses, so their worldview was not grim – and in prison, they were fed every day, a luxury for many in those needy times. Even in these conditions, the demand for culture persisted.